A brand name of phentermine, Ionamin, is a hunger suppressant which is used alongside diet and exercise for obesity management. It is among the earliest drugs meant to beat obesity and got approval from FDA over 50 years ago. Medication like Ionamin stimulates the nervous system through the brain or the central nervous system. When this happens, food consumption gets drastically lowered. The drug is typically prescribed to those who have some kind of eating disorder, which has led to obesity. Your doctor will prescribe a capsule every day before breakfast. However, the drug is advised to be used only for some weeks; if there has been no evidence of weight loss before that, you should not extend dosage of the drug on your own. 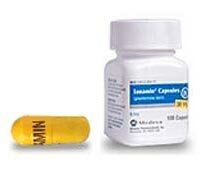 The maximum daily dosage level of Ionamin is 30 mg and anything beyond it may be termed as an overdose. Phentermine is present in Ionamin, and the drug is released slowly to lower irritation among those who have a sensitive stomach. There are certain situations where an individual cannot use Ionamin. You cannot take the medication if you are allergic to sympathomimetics or any other Ionamin ingredient. Also, you can’t take Ionamin if you have taken an MAOI or a monoamine oxidase inhibitor over the last fortnight. Severe or high BP, glaucoma, overactive thyroid, allergies or other heart-related problems also mean you should not take the drug You should tell your doctor if you are planning a pregnancy or are pregnant. Your doctor should also be kept in the loop if you are a nursing mother. Consumption of over-the-counter medication should also be brought to the notice of the physician. There could be some side-effects, if not among all patients, at least in some, ranging from minor to severe. They include increased blood pressure, nervousness, palpitations, nausea, vomiting and diarrhea among others. Weight loss programs should start with changes in lifestyle, an individual’s habits, exercise and diet. Adequate sleep, drinking plenty of water, cutting out on junk food are all important aspects before one embarks on the Ionamin schedule. Also, note that Ionamin can get addictive and you may feel like extending usage of the drug, so make sure you talk to the doctor on how not to fall into the trap of dependency. Also, you cannot share the drug with anyone else because it is a prescription drug; children below 12-13 years of age are not allowed to take the drug. Ionamin is an appetite suppressant pill that contains phentermine. Resin is present in the pills to make sure that the compounds are released gradually throughout the day. They are available in 2 strengths – 15mg and 30mg. Ionamin is not a direct weight loss drug, it has to be combined with regular physical exercise and a healthy diet. 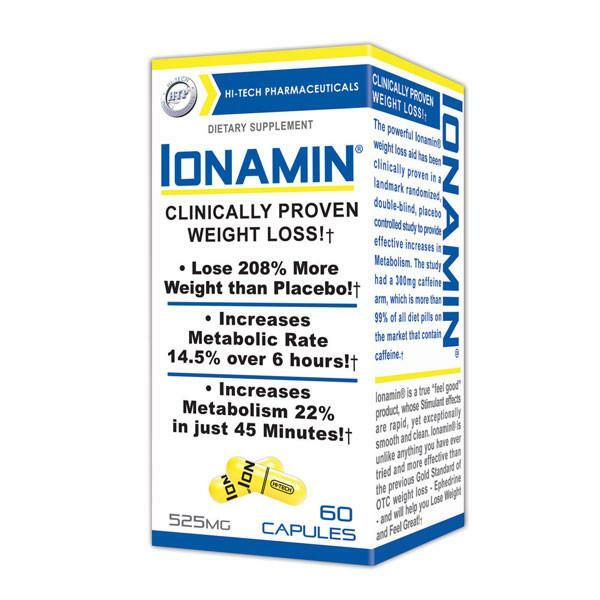 Ionamin is not a regular weight loss pill; it requires a doctor's prescription in order to be purchased used. It is a short term solution for people who are overweight. 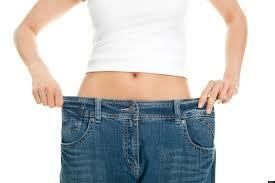 It is ideally prescribed to people who have a BMI (body mass index) of over 30. In cases where a patient's BMI is over 27 but they have medical issues such as diabetes, hypertension and hyperlipidemia then Ionamin is prescribed. The pills have to be used for a pre-determined amount of time and combined with behavioral modification and reduced calorie intake. Patients who are allergic or hypersensitive to inactive ingredients present in Ionamin. 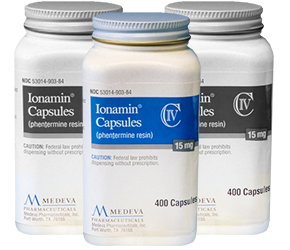 Ionamin 15 and 30 have the following inactive ingredients – gelatin, titanium dioxide, lactose, dibasic calcium phosphate. D&C Yellow 10, FD&C Yellow 6, among others. Other ingredients like iron oxides are also present. Patients that have never used or heard about sympathomimetic amines, need to do thorough research and ask a doctor before using the pills. Like the prototype drug of it's class, Ionamin is a sympathomimetic amine used to treat obesity. Ionamin tends to change the signals sent to the brain in order to suppress appetite, increase stimulation and elevate blood pressure. Commonly known as “anorectics” or “anorexigenics.”, the drugs in this class aim to suppress appetite along with making other changes to the CNS and the metabolism of the patient. Short term studies have shown that obese adults treated with the drug and a proper dietary plan lost more weight when compared to those who used placebo methods combined with dietary restrictions. The weight loss was increased only fractionally per week. However, experts have revealed that different variables not related to the drugs such as the diet, the patients, and the doctors themselves play a part in the obtained results. Thus no concrete conclusions have been made with regard to which method is better. In both drug and non-drug related weight loss, the first few weeks show the most changes. The following time period recorded lower weight loss despite sticking to the diet and workout plans. Studies have concluded that the effects of Ionamin is similar to that of other anorectic drugs. Ionamin is administered orally and is to be taken either an hour before breakfast or approximately, 1-2 hours after breakfast. It is important to note that these tablets need to be taken at least 14 hours before bedtime as it is meant to keep you energized throughout the day. The pills are to be swallowed whole without being crushed or chewed on. 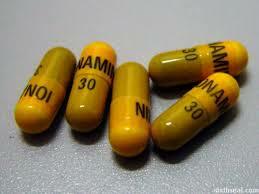 These pills have resin to make sure that phentermine is released slowly at necessary time intervals, crushing or chewing will disrupt the functionality of the pill. 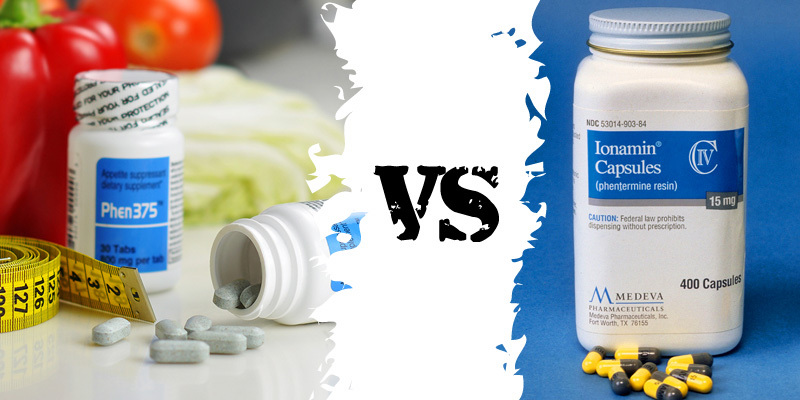 Moreover, crushing the pill will make the phentermine release all at once, making the pill ineffective and increasing the chances of side effects. Some Ionamin tablets are made to dissolve in the mouth. These need to be placed on the tongue until they dissolve and then swallowed either with or without water. These can be taken before or after breakfast. Make sure to handle the pills with dry hands so that they do not dissolve in your hands. Depending on your medical condition, your doctor will prescribe the strength (15mg or 30mg) of the tablets needed. Always stick to your prescription and take the pills regularly. Depending on your response to the therapy, the doctor might increase or decrease your dosage. In some cases, doctors suggest taking 3 small doses throughout the day. A useful tip to make sure that you take your medication regularly, is to take it at the same time everyday. Taking higher doses or using it for more than the recommended period of time could lead to severe side effects. Moreover, addiction and consequently, withdrawal symptoms will be present. Withdrawal symptoms include depression and constant tiredness. They may also occur if you stop the medication suddenly. To prevent this, doctors usually wind down the dosage gradually. Addiction is a rare consequence with this drug and depends on the patient's usage. In some cases, the drug might stop being as efficient as when you first started, consult a doctor when this happens and increase the dosage only when told to do so,. Remember to never consume more than one diet pill at a time as side effects are more likely along with drug interactions. Tell your doctor about allergies to sympathomimetic amines. These include stimulants (amphetamines), decongestants (pseudoephedrine) and other appetite suppressants. Ionamin contains inactive ingredients that could cause allergic reactions so reveal any other allergies you might have as well. Your medical history also plays an important role. Tell your doctor about these as well. Conditions such as diabetes, heart and kidney problems, seizures, high blood pressure need to be reported. When on this drug, do not perform activities that could cause serious harm to you or others. Ionamin might make you dizzy and thus affect your driving, machine handling and other activities that require your complete attention at all times. Only once you are used to the drug and its effects, you can resume your usual activities. Do not mix alcohol and diet pills. Phentermine makes changes to your CNS in order to reign in your appetite. Since alcohol affects your CNS, it could disrupt your diet and increase cravings. Ionamin does not work on it's own, without proper calorie intake reduction, the pill will be ineffective. Thus, alcohol acts as a deterrent. Moreover, drug reactions must also be taken into consideration as some pills must not be consumed when alcohol is being used. When you visit your doctor, make sure to reveal any current medical conditions you may have. Patients with glaucoma, alcohol or drug abuse issues, mental illnesses, lung conditions, heart diseases, hyperthyroidism etc are advised to not take Ionamin. Elderly people over the age of 65, are more likely to encounter the side effects of this drug as their kidney function is reduced. Dizziness and high blood pressure are the most common side effects for elderly patients. Those suffering from diabetes need to reveal their condition to the doctor before using Ionamin. Depending on your condition, the doctor might alter your insulin requirements and place further restrictions on the diet to be followed. When on this pill, doctors recommend regularly monitoring blood sugar levels. If you prefer to use Ionamin that dissolves in the mouth, it will contain aspartame. Those suffering from phenylketonuria (PKU) or other conditions that require them to avoid aspartame can get a revised dietary plan to suit their needs. Ionamin is not prescribed to pregnant women as it could harm an unborn child. If you get pregnant or plan to get pregnant while on this medication, consult a doctor immediately. Before undergoing any kind of surgery, let your surgeon know that you are prescribed to this medication. Breast-feeding is also to be avoided while on Ionamin as it could pass into the breast milk and affect the child. If you miss a dose, take it as soon as you remember. However, if it is close to the time that you have to take the next dose then skip the dose. Do not take 2 doses in a short time period. Disclose all current medications to your doctor. Do not add other medication into your regimen without consulting a doctor. MAO inhibitors are the most likely to cause interactions with Ionamin. Some examples of MAO inhibitors are phenelzine, procarbazine, rasagiline, linezolid, and methylene blue. Ideally, all MAO inhibitors need to be stopped before a week or two of consuming Ionamin. Herbal products also need to be disclosed to your physician before starting Ionamin prescriptions. Various herbal medications used to combat mental illnesses, high blood pressure and other drugs could lead to fatal interactions. Insomnia medications, antihistamines, muscle relaxants and anxiety medications could react with Ionamin. Any medication that makes you drowsy or dizzy need to be revealed to your doctor so that they can adjust the medication accordingly. Large amounts of caffeine and chocolate could also lead to interactions. Limit coffee, tea and other beverages as they can increase the side effects of Ionamin. There are many other interactions that could be possible with Ionamin. We cannot cover all of them here and thus, it is necessary to answer all your doctor's questions thoroughly without holding back. Also provide a list of medications you use for a better diagnosis and prescription. Minor side effects of this drug include restlessness, insomnia, dry mouth, dizziness, irritability, constipation and more to occur. Most people that use this medication do not experience any side effects and most doctors that prescribe the medication usually weigh the pros and cons before hand. In rare cases, more serious and sometimes fatal side effects such as irregular heartbeats, moodiness, sexual changes and uncontrolled muscle movements may occur. Consult your doctor immediately is this happens. Ionamin can raise your blood pressure and cause serious problems. It is thus important to get regular blood sugar level check-ups. Serious side effects like headaches, seizures, weakness, slurred speech are indicative of potentially fatal conditions. If any of these symptoms are noticed contact your doctor immediately and stop taking the medication. Lung and heart problems are also seen in very rare cases. These conditions get worse with prolonged use of Ionamin and high dosages. Allergic reactions are also pretty rare and symptoms like rashes, swelling, breathing issues all indicate that something is wrong. In this case, doctors usually adjust dosages of Ionamin and other medications. Other side effects may also occur but keep in mind that doctors usually take them into account before prescribing Ionamin and other medications. Side effects are pretty rare and are not worrisome for most users. Most common symptoms of an overdose are extreme restlessness, irregular heartbeats (too fast or too slow), hallucinations, chest pains, body pains and loss of consciousness. If an overdose is suspected, please contact the closest emergency center or poison control center immediately. Ionamin will work only when a proper diet and workout plan is followed simultaneously with the administration of the drug. Sharing the drug with other people is illegal as it is a controlled , prescription medicine. Always keep an eye out for the expiry date of the product. Your diet, when on the medication, should involve minimum fatty foods. Proteins and complex carbohydrates are recommended. Steamed meats without the skin are ideal for a meal. Simple carbs like sugar, desserts and chocolates have to be avoided. Alcohol and soft drinks are to be avoided at all costs. Processed foods are also to be avoided. When storing the medication, store away from light and moisture. A tightly closed contain in room temperature (20-25 degree Celsius, 68-77 degree Fahrenheit) will do the trick. Remember to keep the medication away from children to avoid tragic accidents, The medication can also be fatal to pets, so store it in places that your pets can't reach. Ideally, the disposal of the medication is done through consulting your nearest waste disposal company. Do not throw it in the bin or flush it down the toilet.